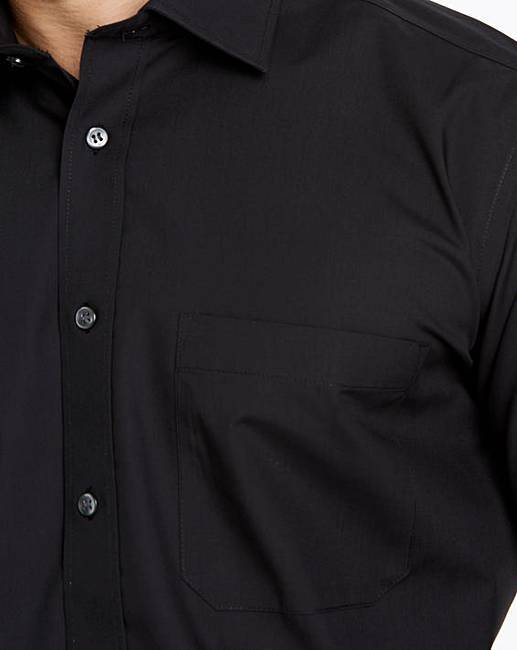 A classic in every man's wardrobe, this black shirt from Double Two will take you from day to night without ever needing you to iron it. Made from a crease resistant fabric, this shirt has been designed with the modern man in mind. Features single placket, breast pocket and box pleat back for extra comfort. 14½, 15, 15½, 16, 16½, 17, 17½, 18, 18½, 19, 19½, 20, 21, 22, 23.